To celebrate the upcoming launch of DesignBundles.net on August the 8th our latest bundle is more than just fonts. It now contains design elements as well! The Craft Collection is a fantastic ensemble of Fonts and Design Elements. 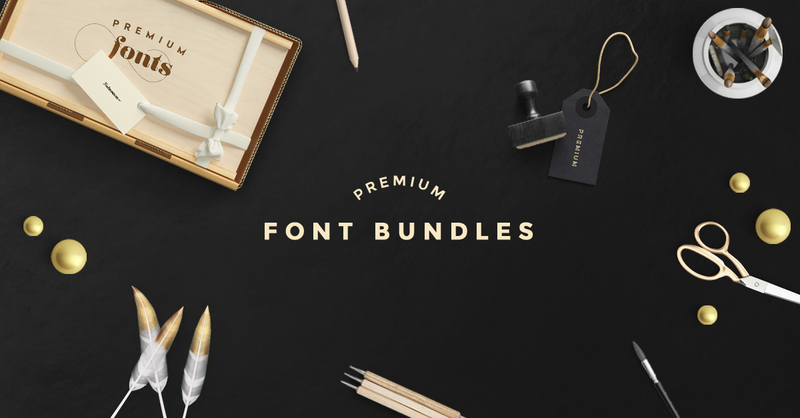 With 30 fonts and 11 design elements we are sure this will be your new favorite all time bundle. Available at 96% off the RRP you can grab this bargain craft bundle for only $29 instead of $600! All the fonts have been PUA encoded to work in your favorite programs and the each design element has been perfectly assorted to make the craft collection a must have bundle. Colourful, vibrant and diverse…. Crafting has never been more fun! Please note some of the design elements require additional programs to ensure you get the most out of them, our fonts do not require anything additional. Wedding Invitation Set - Adobe Photoshop is required to edit the files. 10 Art Euipment Mockups - Adobe Photoshop is required to edit the files. Sketch Mockups Vol.4 - Adobe Photoshop is required to edit the files.